1 1/2 pounds red skinned potatoes, whole. Buy them all close to the same size, not real small. 1) Steam potatoes in a large steamer rack set over boiling water, covered, until very tender, 20 to 25 minutes. 2) Meanwhile, cook bacon in a 12-inch heavy skillet over medium heat until crisp. Transfer bacon with a slotted spoon to paper towels to drain, reserving fat in skillet. Add 2 tablespoons vinegar, sugar, and 3/4 teaspoon each of salt and pepper to hot bacon fat, scraping up brown bits. 3) Transfer potatoes to a baking sheet pan. 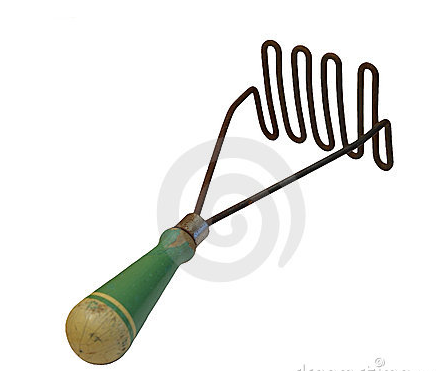 Using a potato masher (not a ricer, us the old fashioned kind that has the loops . 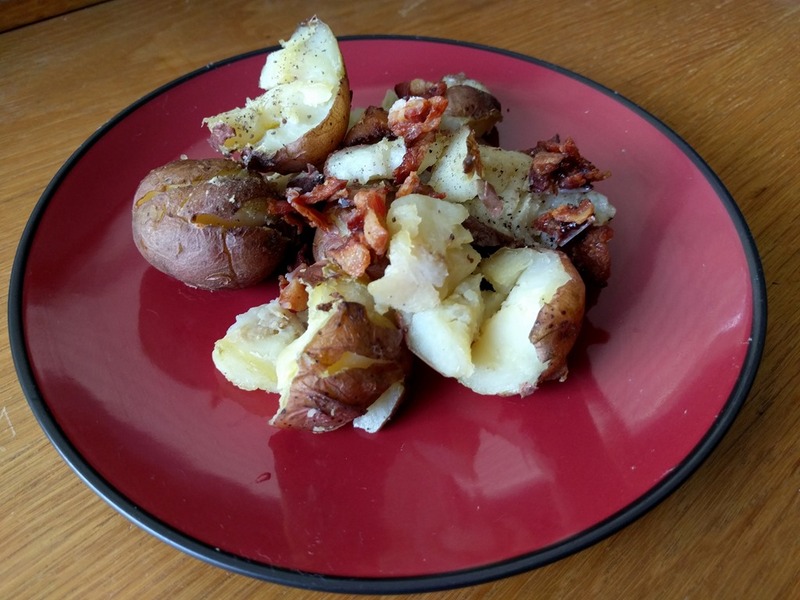 Add vinegar mixture to potatoes and smash with a potato masher to desired texture, Season with dill, crispy bacon, and vinegar, salt, and pepper to taste.